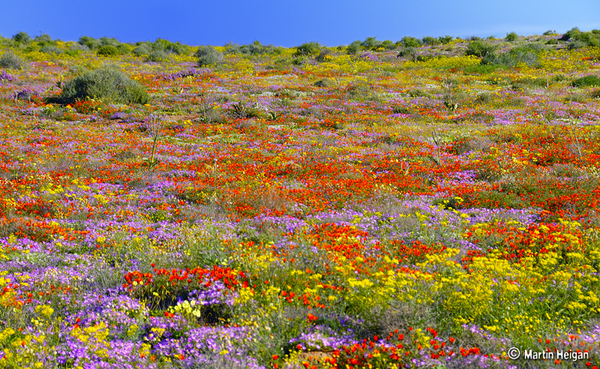 The Goegap Nature Reserve and the Hester Malan Wild Flower Garden have over 15,000 hectares of sandy meadowland with outcrops of granite. 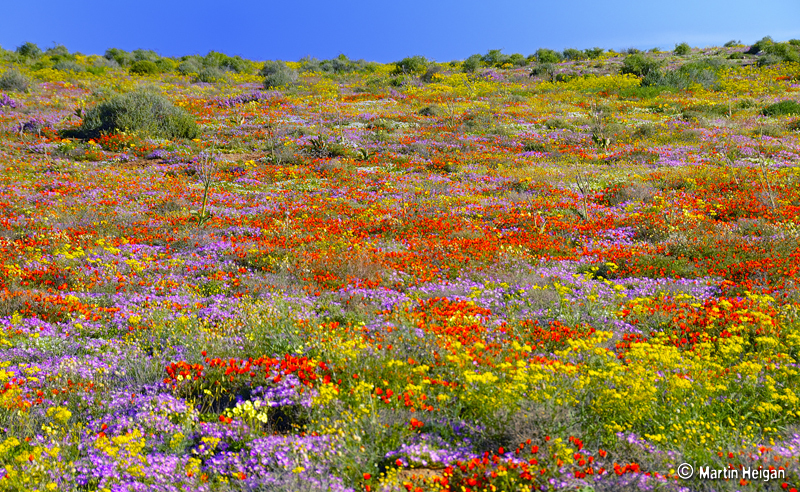 The Hester Malan Wildflower Garden has 4,500 hectares and includes the farm of Goegap (which means 'spring') and is a remarkable sight in spring. 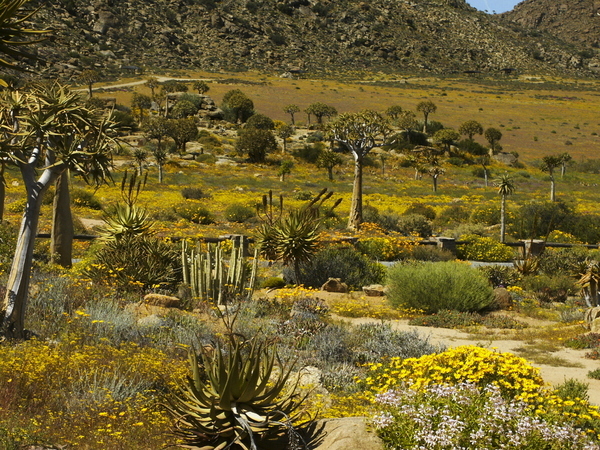 There is an information centre which explains the flora of Namaqualand. Gemsbok, springbok, klispringer and bateared fox can be see. 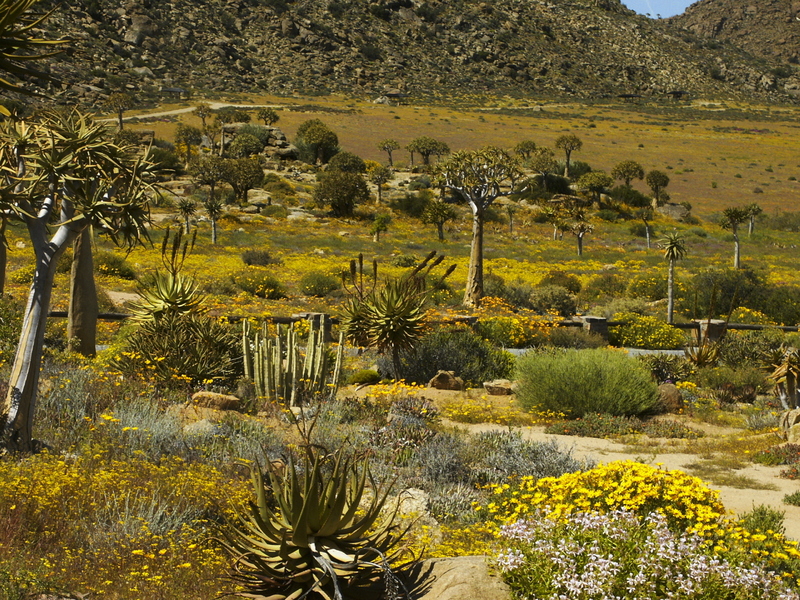 The Hester Malan garden has Namakwa succulent plants and a rock garden. Opening times Open 7:45am to 4:15pm.